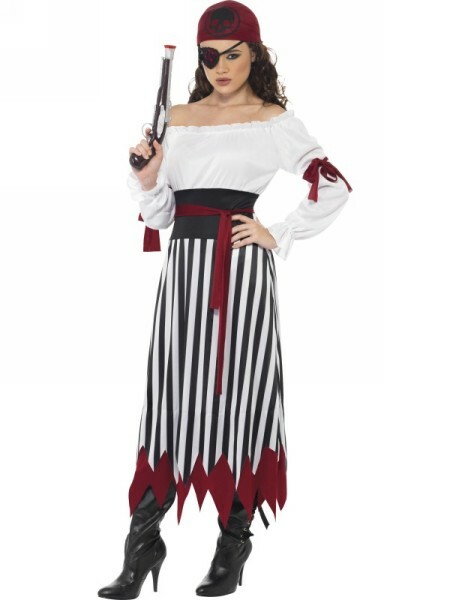 Set out on a treasure hunting sail in our Pirate Lady costume. Awesome option for any pirates themed events. 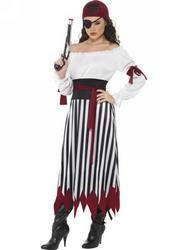 Movies like Pirates of the Caribbean have made pirate outfits a popular choice with costume party goers. Ideal for world book day or any movie and book themed fancy dress outing. Ladies pirate costume comes in small medium or large sizes and includes a long dress with arm ties. Completing the costume accessories are a belt and headpiece.